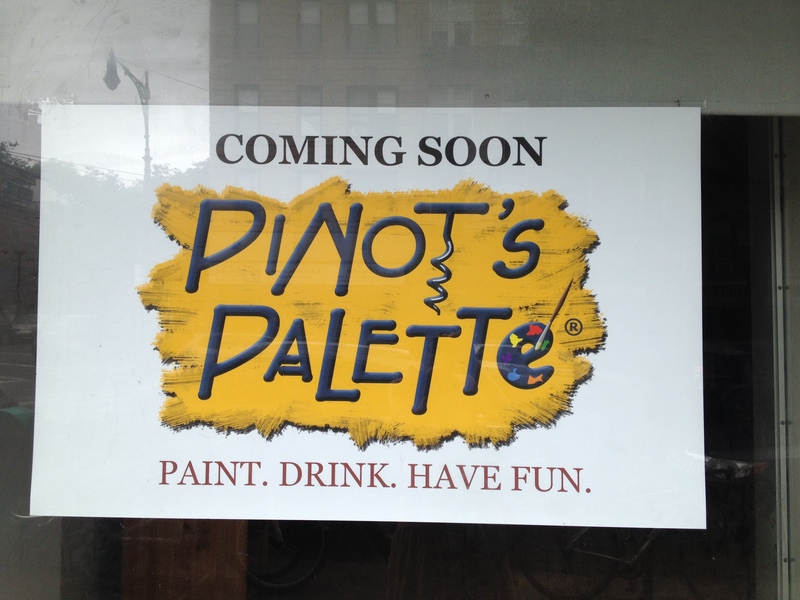 Look what’s coming to Fifth Avenue in Park Slope! Soon we’ll be able to get sloshed while daubing paint on canvas somewhere other than in the privacy of our own homes. I was unfamiliar with this franchise concept, but on reflection, its appeal to frazzled moms who feel their creativity is being stifled makes it a natural for the neighborhood. Thank god we still have Leopoldi Hardware and Save-on-Fifth for the rest of us.